Have a blast trying out some of these cool things to do in Upstate NY! We've gathered these fun things in one place for you so that no matter what types of things you like you'll find something cool to do. 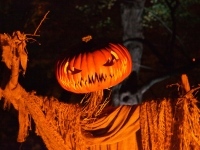 Explore the many cool Halloween attractions in Upstate NY. Find Halloween events in Upstate New York, and have a ghoulishly good time with your family and friends. Enjoy this list of Upstate New York tours of all sorts. Whether you are an outdoorsy person and want a bicycle tour or prefer to be indoors and take museum tours, we have you covered with these tours in Upstate NY.